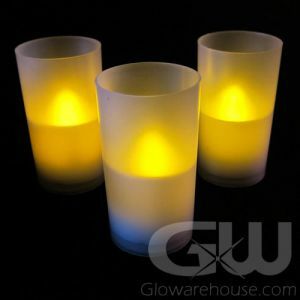 - Fun, Safe LED Tea Light Candles! 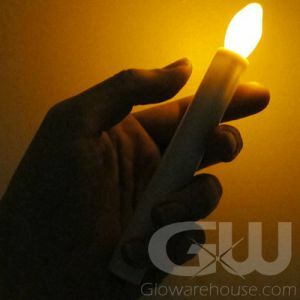 - LED Lights Flicker to Look Like Real Flame! 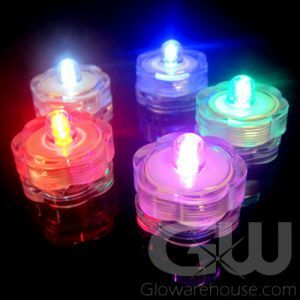 - Replaceable Batteries Included and Installed! - Anniversaries! Celebrations! 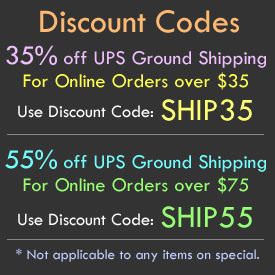 Holiday Decorations! 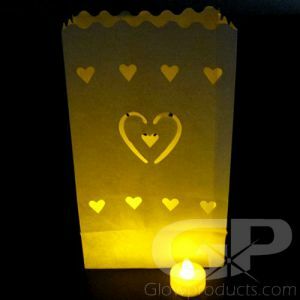 Looking to create a beautiful candle light atmosphere but don't want to burn everything down? 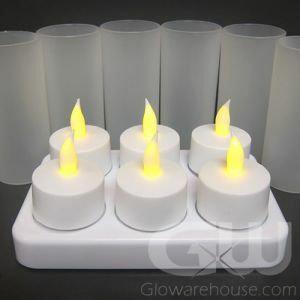 Then Battery Operated LED Tea Light Candles are the candle for you! 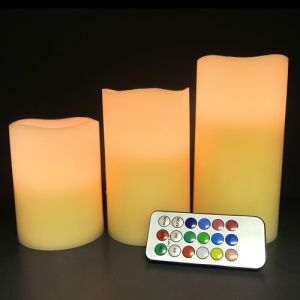 The no flame LED tea light candles flicker with amber light to create a real looking flame! 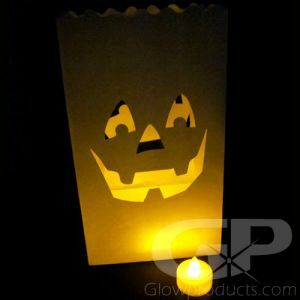 Just the thing for glow in the dark party decorations in halls and churches - even outdoors - where regular open flame candles are not allowed. 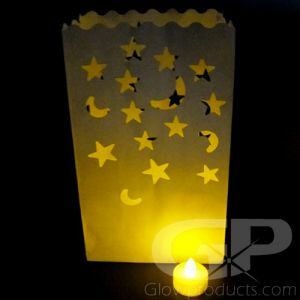 Light Up everything from luminary bags to votives to mason jars and create fantastic glowing wedding and Christmas centerpieces and displays, with fun, safe LED Flameless Tea Light Candles! 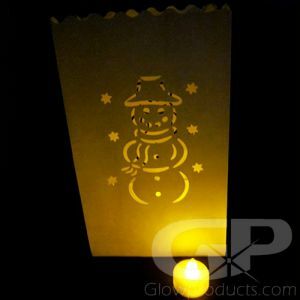 Turn the Glow in the Dark Tea Light Candle on and off by using the switch found on the underside of the base. 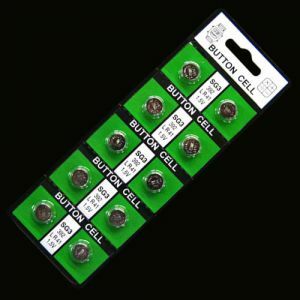 The batteries are included, already installed and replaceable. 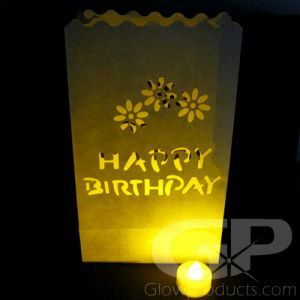 So decorate your next holiday celebration, wedding, anniversary party, charity fundraiser or family get together without worry. 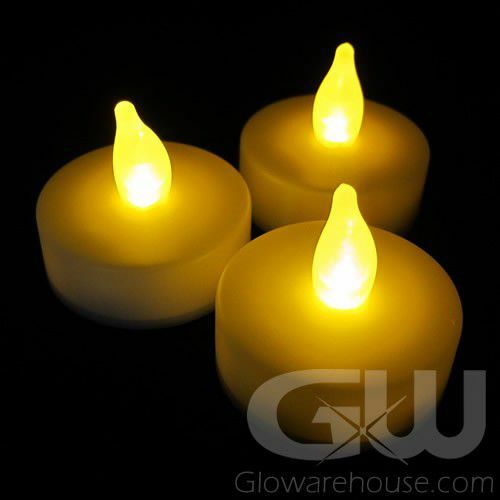 Decorate with Flameless LED Tea Light Candles from Glowarehouse.com!